If you don’t have the necessary equipment or experience, dealing with trees on your property can be challenging. Fortunately, if you live in Dianella, Perth, Arbor Service’s team is standing by to help. We provide all tree-related services. The sole purpose of pruning is to enhance the health of your tree. If you notice dead twigs and branches by the end of winter and beginning of spring, you have to prune your tree. As tree surgeons, we have all the necessary skills and equipment to prune your trees correctly. Tree lopping is necessary if you are dealing with invasive or shedding branches. Unlike pruning, lopping refers to haphazard branch cutting, which can harm your tree. Many tree professionals recommend that you never lop your tree. Our team will, however, be able to lop your tree without damaging it. Stump grinding or removal is essential if you want to use the area for extensions, developments, or landscaping. If the stump is bulky or in an uncomfortable location, we can help you grind it down or take it out it completely. You may be tempted to clear a piece of land you want to develop yourself. If you use our services, however, we will get the job done and remove all the materials and debris in a short time. Tree risk assessment is necessary if you suspect that your tree may have an underlying disease or if you are afraid that the tree itself may cause damage or injury by falling or collapsing. If your tree is on the verge of collapsing or at risk of being struck by lightning, the safe option is often to remove the tree. 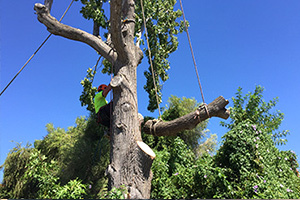 Perth Arbor Services can remove trees or any shape or size entirely and safely. Call us today to discuss your needs. Have questions about Tree Lopping Dianella? 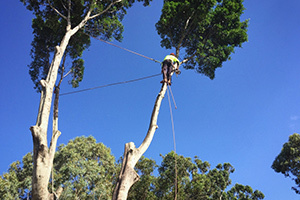 Perth Arbor Services offer a full range of tree maintenance services in Perth, including trimming, thinning and pruning of all species. We are friendly and experienced palm and tree maintenance experts – call us today to handle all your pruning needs. 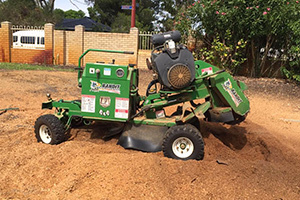 Servicing Perth and surrounding suburbs Perth Arbor Services have the know how to help with all your tree stump grinding and removal needs. We are capable of tackling even the most difficult jobs with ease, wherever the stump may be located and whatever its size. Prepare the area for your new build with Perth Arbor Services. Whether it’s a big commercial project or domestic extension our team of professional and friendly arborists are here to help! Land clearance, lot clearance and tree clearing services all over Perth. Worried about the health of your trees? Our expert aborists can catch potential problems before they become major risks to property or people. Perth Arbor Services offer comprehensive tree risk assessment services in Perth and surrounding suburbs. Call the professional and friendly team at Perth Arbor Services for all your Tree Lopping Perth needs! 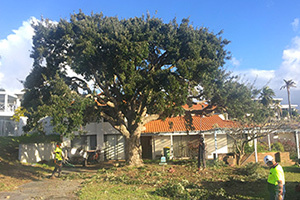 Perth Arbor Services are the leading experts in tree lopping in Perth, offering high-quality service, professional management, and specialised knowledge and advice for all our clients. At Perth Arbor Services, we love trees. But even we understand that sometimes they need to be removed. 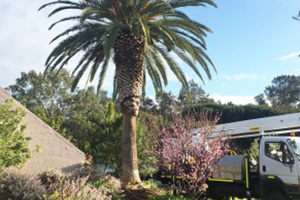 We offer our comprehensive tree removal services all across Perth with a highly trained team ready to safely and quickly remove trees from your property. 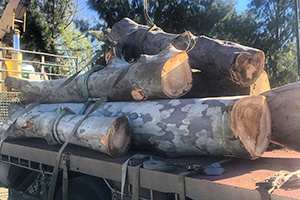 Perth Arbor Services provide professional tree lopping in Perth, as well as tree risk assessment, palm trimming, tree pruning, power line clearance, hedging and tree removals seven days a week. Call 08 9227 0010 for a free quote.